The exhibition shows new works by four artists, Ditte Knus Tønnesen, Sara Laub, Myne Søe-Pedersen and Miriam Nielsen, who each explore the edges of what may defined as photography. Covering the walls and the window glass in a photographic installation integrating the entire gallery space, the exhibition takes us through an investigation of light, darkness, reflections and surface textures resulting in a varied lightscape of photographic and graphic expressions. The exhibition presents alternative artistic suggestions to definitions of contemporary photography. The exhibition is part of Copenhagen Photo Festival 2015. 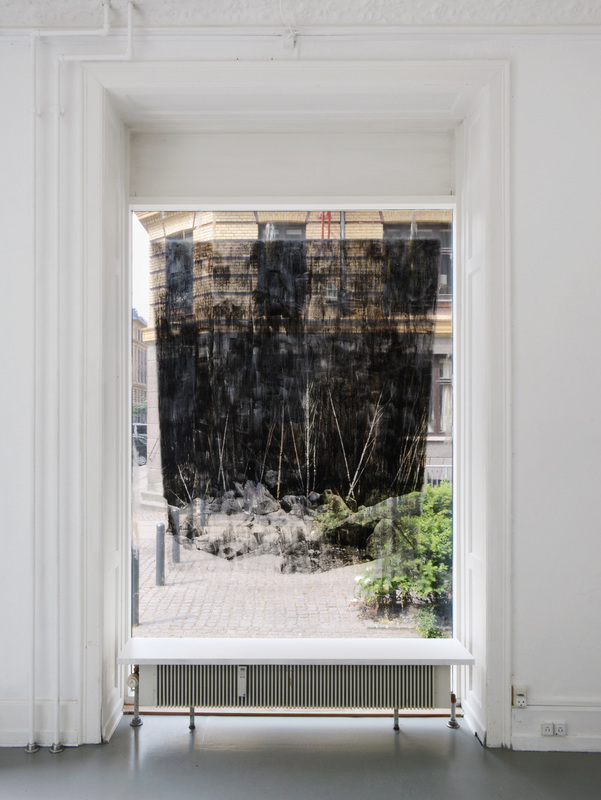 Ditte Knus Tønnesen takes her recent studies of the cultural landscape further in a site specific installation exploring how analog photography can interact with space. In the days before the opening of the show she will turn the whole room into a darkroom for many hours, and using liquid photographic emulsion she will project and develop a photograph directly onto the window glass. Thus the photograph will be visible from the inside as well as outside the gallery. With this process she creates a physical trace of a moment in time; at once a trace of the process of the creation of the motif in the room, and of the moment when the photograph was taken.